Note: See second image for actual color. Modular and easy to assemble, this bookcase has seven scratch-resistant white melamine particleboard shelves with ABS edging, adjustable feet, and side panels made of 12 metal boxes painted in powder coated semi-gloss white. 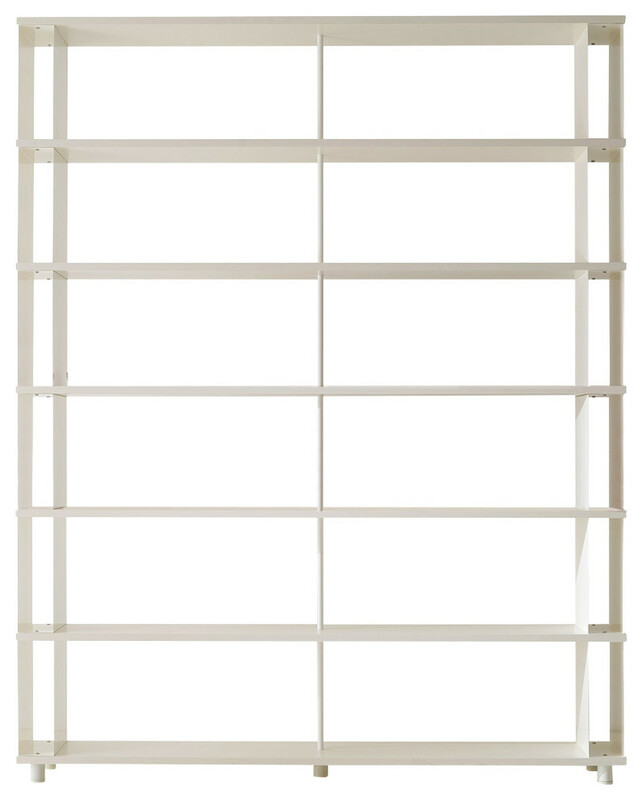 Metal tube dividers and nickel hardware provide balance and durability. W 78.74" / D 11.81" / H 98.82" / 304.24 lb.